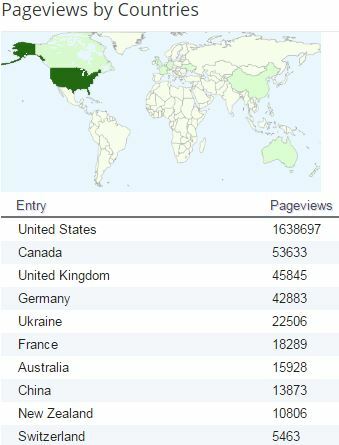 Here is a shot of the pageviews over time. I like to see how it spikes during a hike and how it shows the height during the AT last summer. 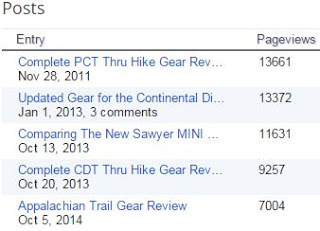 The “humps” from left to right are the PCT, CDT, AT, and then this summer with the Hayduke. Again, these are physical hits on the blog and don’t include those that read directly from the email subscription. It’s funny that the most viewed entries are the ones that are the biggest pain to write. I know how helpful those gear lists and reviews are and I’m glad people find them helpful!